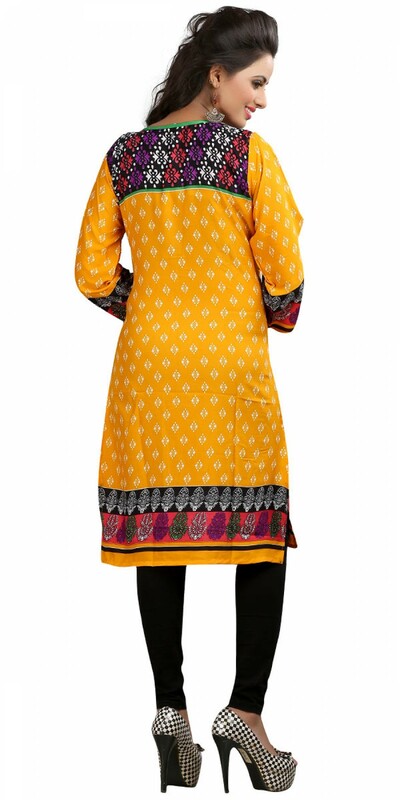 You are here - Home/Women/Clothing/Kurtas & Kurtis/Pleasing Yellow Crepe Casual Kurti. Pleasing Yellow Crepe Casual Kurti. 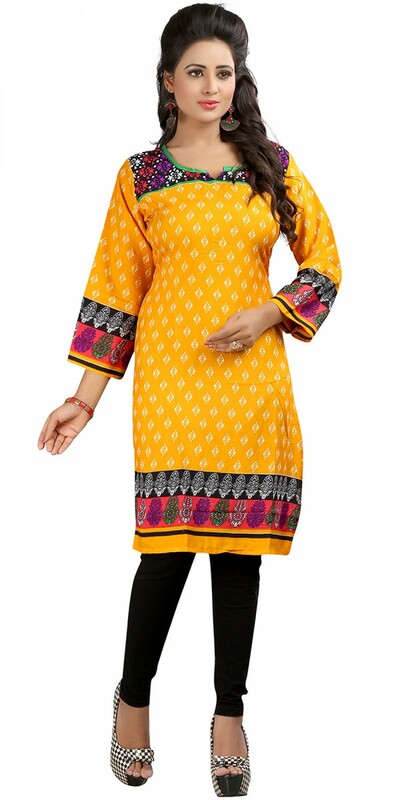 Pleasing Yellow Crepe Casual Kurti.This kurti is Designed Beautifully with Lace work on Full Sleeves,Collar Neckline of kurti.This cotton kurti give you ethnic look.